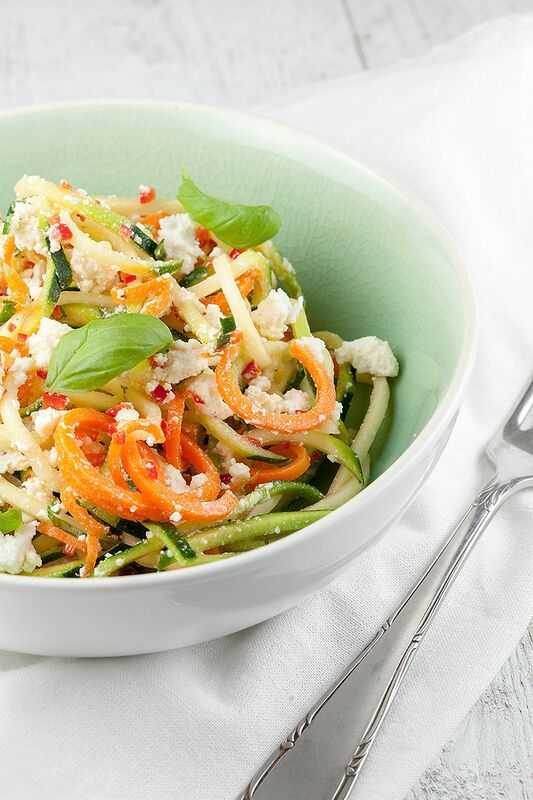 Spiralized zucchini and ricotta salad is very refreshing. 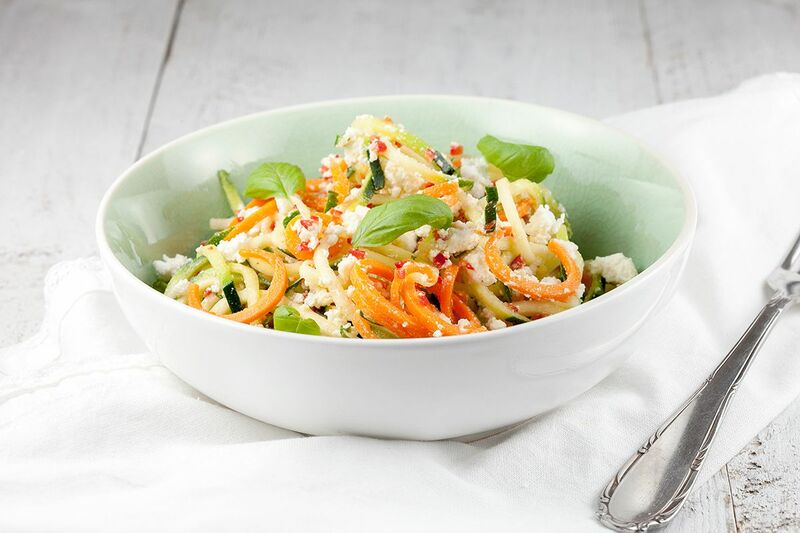 With homemade ricotta and if you don't own a spiralizer, you can also just chop the veggies! First we’re making our own ricotta. It’s super easy and super delicious. POUR the whole milk and buttermilk in a medium-sized pan and heat it up on medium heat until it has reached about 75 degrees celsius or 165 degrees fahrenheit. Keep on stirring occasionally, you want the milk to curdle. When it has start to curdle, turn off the heat and let it rest for about 15 minutes. PREPARE a fine sieve with a cheesecloth in your sink, you can also use a clean kitchen towel. POUR the curdled milk into the cheesecloth and add about a teaspoon of salt to the mixture while the mixture is still in the cheesecloth. Refrigerate until it’s cooled off completely, you’ll notice all the moist has evaporated. That’s awesome, isn’t it? Cause what you’ll end up with, is the tasteful ricotta! You can store this home-made ricotta in an air-tight container up to 5 days. 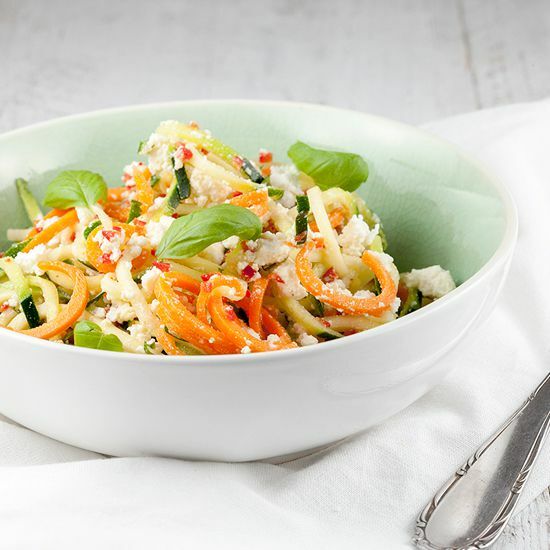 PEEL the carrot and use the spiralizer to create zucchini and carrot spirals. REMOVE the red pepper seeds and finely chop half of the red pepper as fine as you can and combine with the spirals. 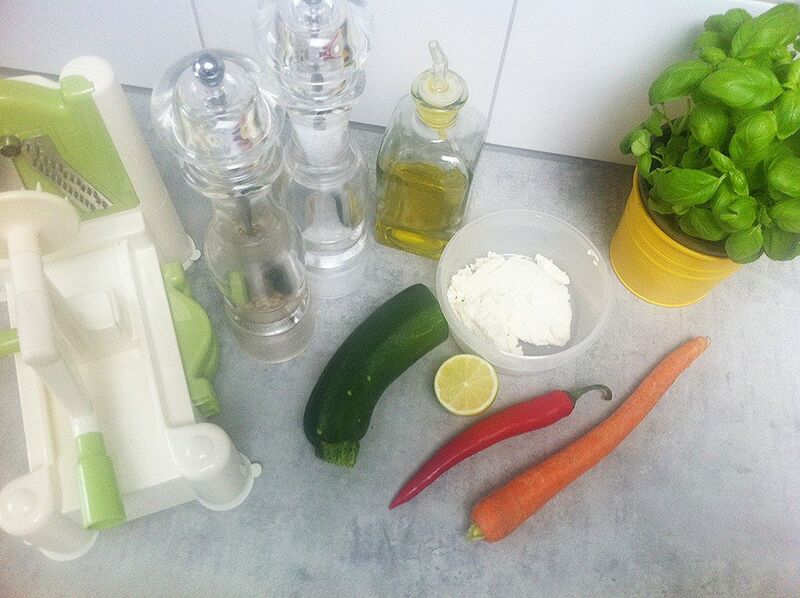 DRIZZLE the zucchini, carrot and red pepper with olive oil and lime juice. CHOP the basil leaves and divide along with the ricotta. Season with pepper and salt. Garnish with basil leaves and enjoy!